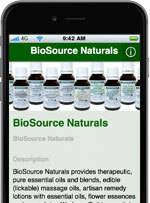 Bio Source Naturals was founded by a naturopath (natural health practitioner), Lezlie Cebulski. She also has a Bachelor’s Degree in Psychology and is an Emotional Freedom Technique – EFT Tapping Practitioner and a Reiki Master Teacher. Since 2005, Lezlie has been an innovator in her holistic healing practice by combining energy work such as EFT and essential oils to help support the healing of body, mind and spirit. In her holistic healing practice, she combines the application of essential oils, gem elixirs and Bach flower essences on the body which corresponds to chakras and energy meridians with Emotional Freedom Technique – EFT. During ten years in private practice, Lezlie created many essential oil blends, sprays and lotions. These products were originally custom blended for clients. When she saw how they helped support lasting, positive changes when combined with EFT, she founded Bio Source Naturals. The body mind lotions were the first products developed in her private practice to support emotional repatterning. Through the innovation of combining essential oil blends and EFT, she has been able to help people find new ways to solve old problems such as anxiety, depression, ADHD. Free EFT scripts accompany products to help customers release emotional patterns and mind-body issues which keep them from wellness. Lezlie’s passion is to help people move forward in life in places where they feel stuck. For this reason, she wrote EFT Tapping scripts and gives free downloads of Emotional Freedom Scripts addressing common problems. Access the free EFT scripts in our store under Free Items. No purchase required! Her gift to you. Rev. Lezlie Cebulski, N.D., EFT, RMT holds a Doctorate of Naturopathy (Natural Health) in 2003 and is a traditional naturopath. She has a B.A. in Human Development/Psychology from Earlham College. She studied Gary Craig’s original EFT Program (EFT-ADV) and has been an EFT practitioner since 2005 and a Reiki Master since 2014 and Reiki Master Teacher in 2017. Lezlie is an ordained minister (Reverend) with New Horizon Ministries. 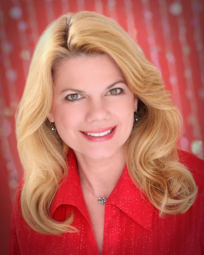 She has been in private holistic healing practice since 2005. Per Ancestry.com, through her grandmother’s ancestors, Lezlie is the direct descendent of several Merovingian kings. These monarchs were reportedly able to heal through the laying of hands. Lezlie is also the 45th great-granddaughter of St. Bathildis and the 50th great-granddaughter of St. Clotilde.